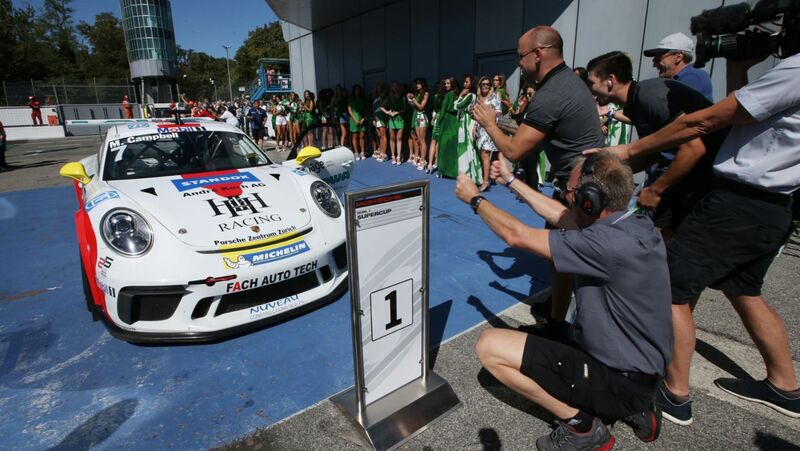 Porsche Junior Matt Campbell (AUS/Fach Auto Tech) scored his second victory of the Porsche Mobil 1 Supercup season on Sunday at Monza, Italy. 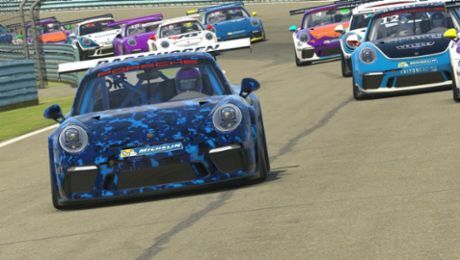 Zaid Ashkanani (KUW/MRS GT Racing) and Mattia Drudi (I/Dinamic Motorsport) finished on positions two and three respectively after an eventful ninth championship round. In the overall classification heading into the double-header grand finale in Mexico with the Porsche 911 GT3 Cup, the situation looks extremely close: Only three points separate championship leader Michael Ammermüller (D/Lechner MSG Racing Team) and Porsche Junior Dennis Olsen (N/Walter Lechner Racing Team), after Olsen achieved fifth place today, with Ammermüller on tenth. 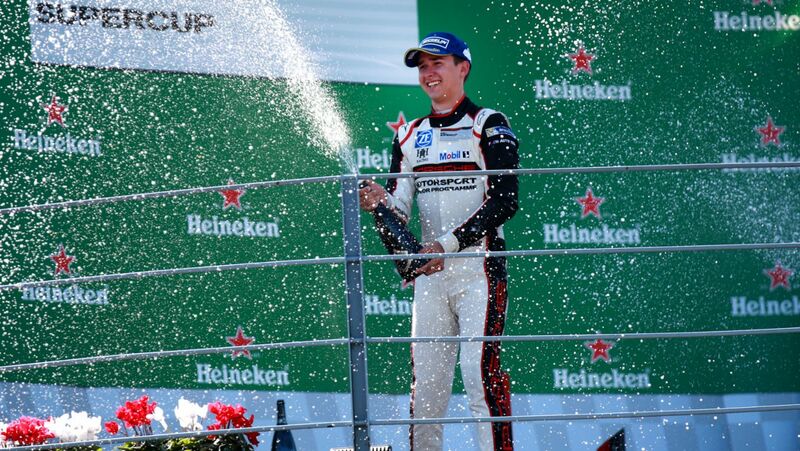 At Monza, Olsen has clinched an early victory in the rookie classification. 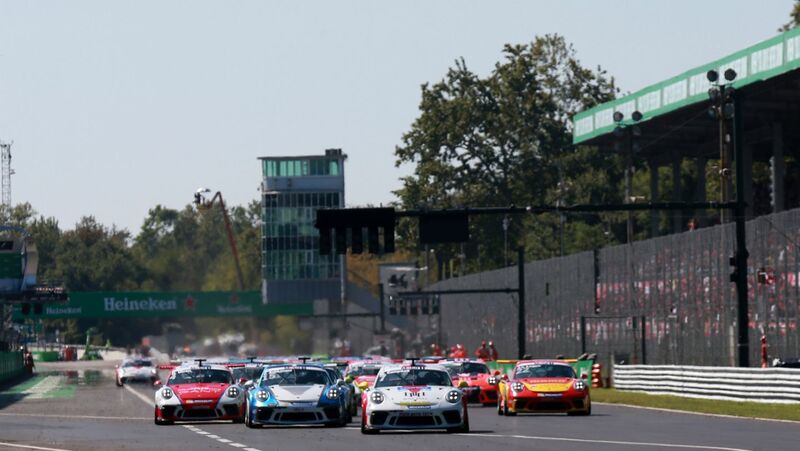 The weekend at the racetrack on the outskirts of Milan held several surprises for the 31-strong field of the Porsche Mobil 1 Supercup. After the free practice on Friday in bright sunshine, Saturday brought heavy rain. With water flooding the track surface, the qualifying session scheduled at midday Saturday had to be cancelled for safety reasons. Accordingly, the free practice result determined the grid positions. Campbell was thrilled with his pole position, which he turned into a lights-to-flag victory: “I’m really pleased to have won this race. After the first lap there was a brief safety car phase because a car went into the gravel. My restart went really well and that was the key to success. I managed to build on my lead and bring my win safely home,” said the 22-year-old Australian. 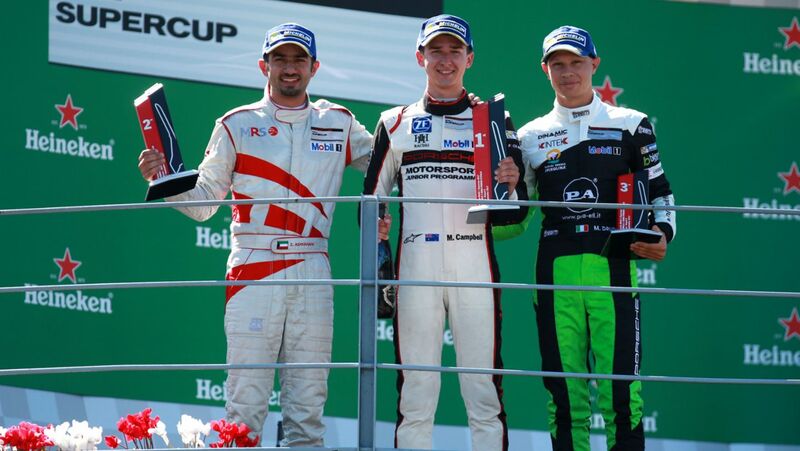 Behind Campbell, Ashkanani achieved his best Supercup result so far with position two: “It was my goal of the season to finally finish on the podium. At times we had a little bad luck, but the team never stopped believing in me. Now I can give something back.” Drudi made the most of his home advantage. The 19-year-old started from position six and finished on third. “That was a wild rollercoaster. At one point I was running in seventh place but I always managed to make up ground. When I looked at the packed grandstands during the cool-down lap on my way to the podium I got goosebumps,” said Drudi. Sixth place went to Ryan Cullen (GB/Walter Lechner Racing Team) followed by Robert Lukas (PL/Olimp Racing). 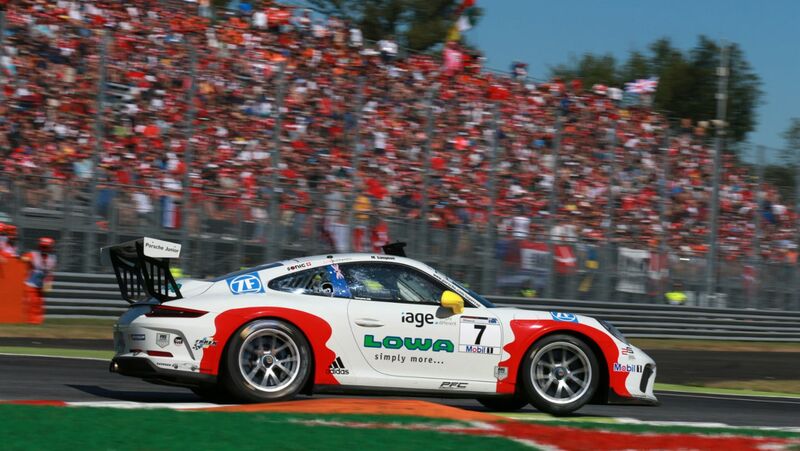 Porsche Junior Thomas Preining (A/Walter Lechner Racing Team), who contested the Monza round as a guest driver and who is a regular driver in the Porsche Carrera Cup Deutschland this season, saw the flag in eighth. “The start was crazy but I managed to make up positions from tenth on the grid. However I was hit as I was exiting the first corner and suddenly found myself in 16th. From there I worked my way back up the field.” Daniel Cammish (GB/Lechner MSG Racing Team) came ninth. For the championship leader, Ammermüller, the race turned into a nightmare. The 31-year-old had taken up the race from third on the grid and overtook Olsen in the sprint to the first corner. In lap seven, Ammermüller and another competitor swapped paint, which saw the seasoned Porsche specialist fall back from fourth to eleventh. In the action-packed midfield, there was another minor collision in lap ten and Ammermüller settled into 13th place. He finally reached the flag in tenth position after 80.793 kilometres. 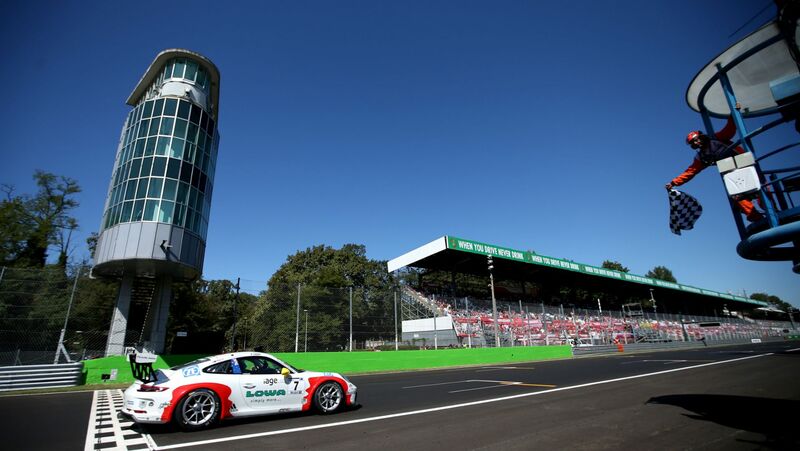 The German now heads to the season finale of the Porsche Mobil 1 Supercup held for the first time in Mexico as the series leader just three points ahead of Olsen. Rounds ten and eleven will be contested on the Autodromo Hermanos Rodriguez racetrack, where the championship will be decided. 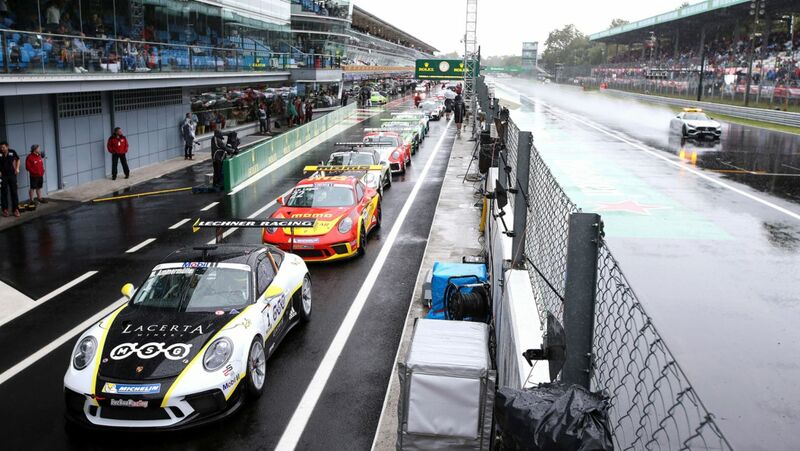 The qualifying for the Porsche Mobil 1 Supercup at Monza (Italy) became the casualty of a torrential downpour. Hence, the times from Friday’s practice session determine the grid lineup for the race. As a result, Porsche Junior Matt Campbell (AUS/Fach Auto Tech) takes up round nine on Sunday from pole position. “I was pretty lucky this time with the first grid spot and for some drivers, like my teammates for example, it’s extremely annoying that they didn’t get the chance to turn a good qualifying time. But at the end of the day it was a good decision not to hold the qualifying, because, even at low speed, I experienced aquaplaning on the finish straight,” explained Campbell. Lining up on the second grid spot is Ashkanani (MRS GT Racing) from Kuwait. 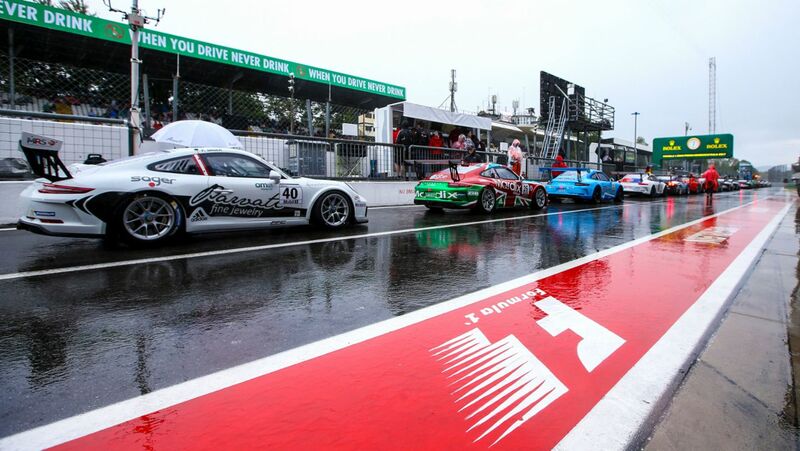 Sharing the second grid row in positions three and four respectively are the two rivals for the championship, Michael Ammermüller (D/Lechner MSG Racing Team) and Porsche Junior Dennis Olsen (N/Walter Lechner Racing Team). In the morning, rain set in and drenched the high-speed racetrack. 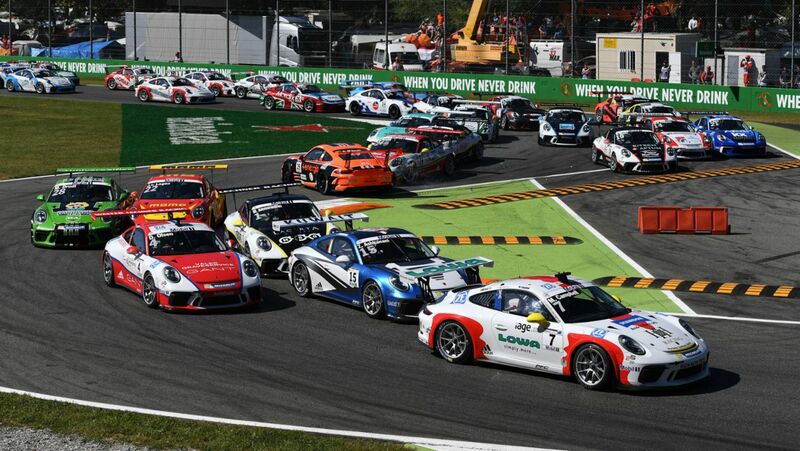 Around midday when the qualifying session for the Porsche Mobil 1 Supercup was supposed to start, the 31 drivers went out on the track in their 485 hp Porsche 911 GT3 Cup cars, however, for safety reasons, the session was halted without timed laps. As a result, the regulations adopted two years ago, which state that the practice time should determine the grid lineup, were implemented. This is Campbell’s fourth pole position this season after the double-header in Barcelona and the qualifying at Spielberg. For Ashkanani, this marks the first time he starts from second on the grid this season. Ammermüller and Olsen share the second grid row, and spectators are guaranteed to witness a gripping duel between the pair. In the championship standings, only eight points separate the two Lechner pilots. “If I’d known this would happen I would’ve driven my last practice lap towards the end. But it was the right decision to cancel the qualifying. The finish straight has just been repaved and that section was under water. You couldn’t drive flat-out there and that wouldn’t have been a real qualifying. Under these circumstances, third on the grid is okay,” said Ammermüller. Olsen struggled somewhat with his fate after the cancellation: “I’m feeling extremely strong at the moment and I could have taken pole position here. I usually do really well under wet conditions and if it’d been a normal session I would’ve done better. Last weekend at Spa I scored two victories. Now I’ll have to see what I can do from fourth place. Ultimately, every point is important towards the championship and I would’ve liked to have started from a better position.” The reserve driver Jaap van Lagen (NL/MOMO-Megatron Team Partrax) takes up the race from fifth, with the Italian Mattia Drudi (Dinamic Motorsport) on sixth.